Chicago in Montreal or Quebec City? Inform me about the next events for Chicago. Enroll yourself to our priority waiting list for Chicago to be alerted when new tickets are available. Filling this form doesn't engage you to any purchase. Chicago is coming to Montreal on September 13th, 2018 for a concert at the Bell Centre ! Chicago sold over 40 million albums throughout their career, which spreads over 4 decades! 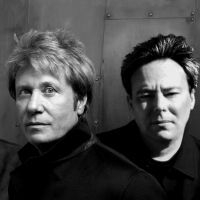 Their numerous hits include 1976 rock ballad If You Leave Me Now, the rockin' 25 or 6 to 4 and You're The Inspiration in 1984. After nearly 15 years without putting out a new record, Chicago (band) came back with Stone of Sisyphus in 2008.